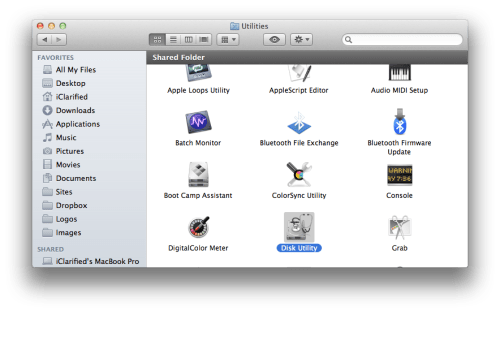 Connect a 8GB or larger USB key to your computer then launch the Mac App Store from your dock. 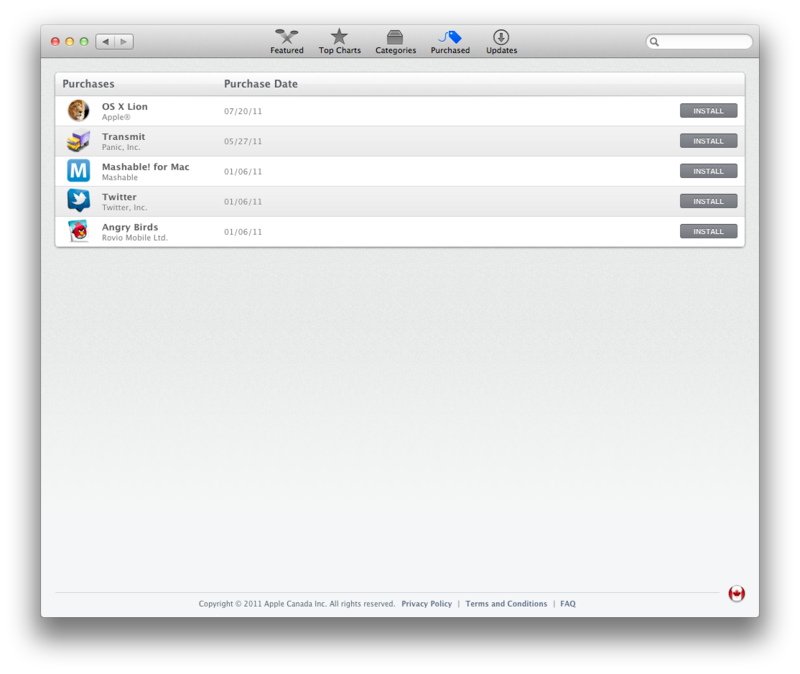 Click the Purchased tab at top of the window the hold down the Option key and click the Purchased tab again. **If you have not yet installed Lion then you can follow these instructions to buy it and begin downloading. Press the Install button for OS X Lion and wait while the operating system downloads. 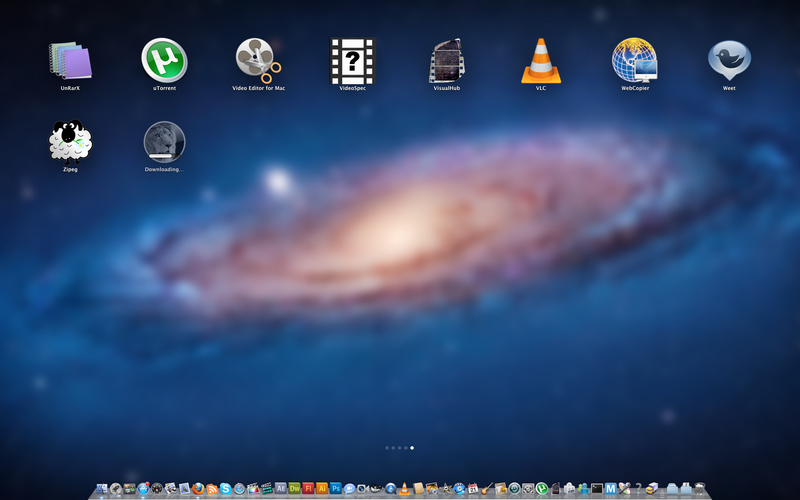 If the LaunchPad appears press the Escape key. Once the download has completed the Mac OS X Lion Installer will launch. 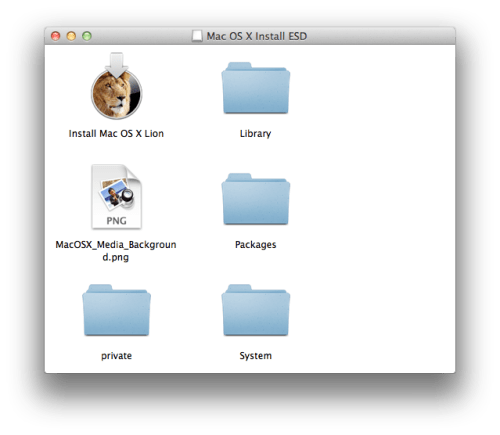 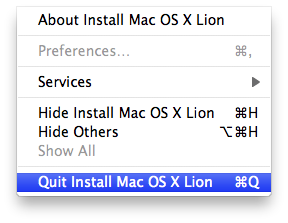 Select Quit from the Install Mac OS X Lion to exit the installer. 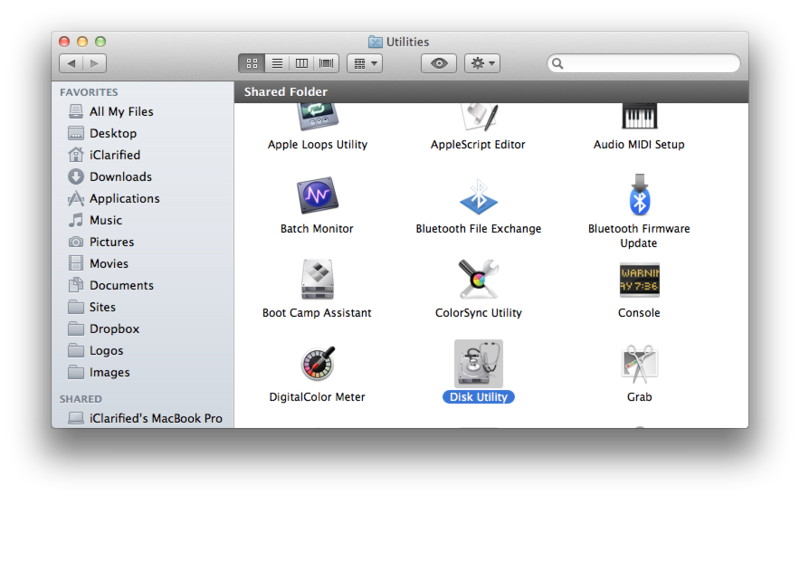 Click to launch a new Finder window from your dock. 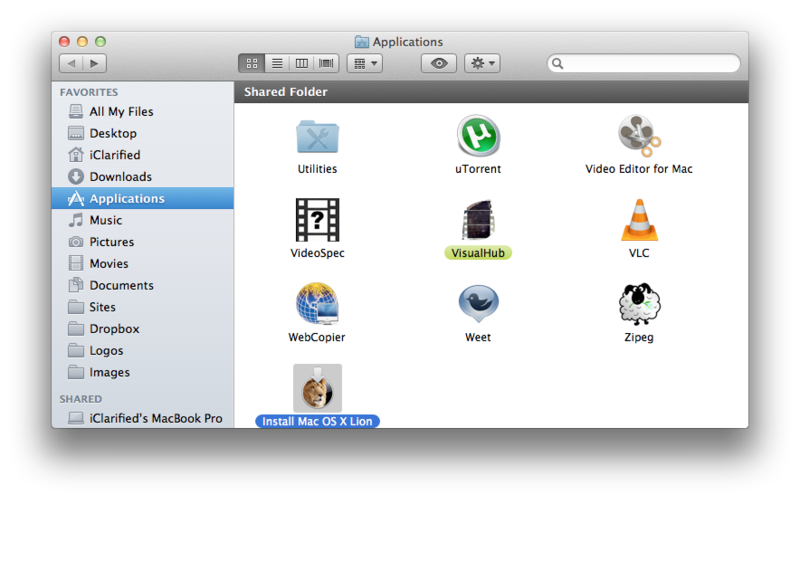 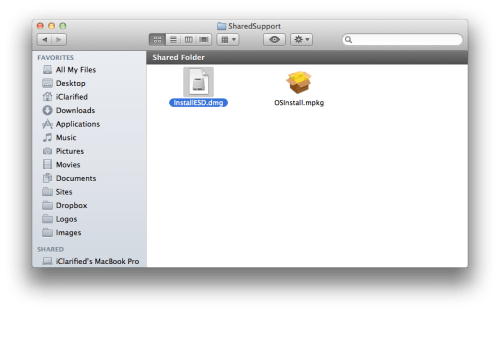 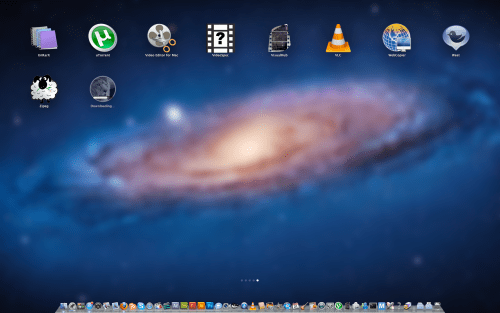 Navigate to the Applications folder and right click the new "Install Mac OS X Lion" icon then select Show Package Contents from the contextual menu. Double click the Contents folder. 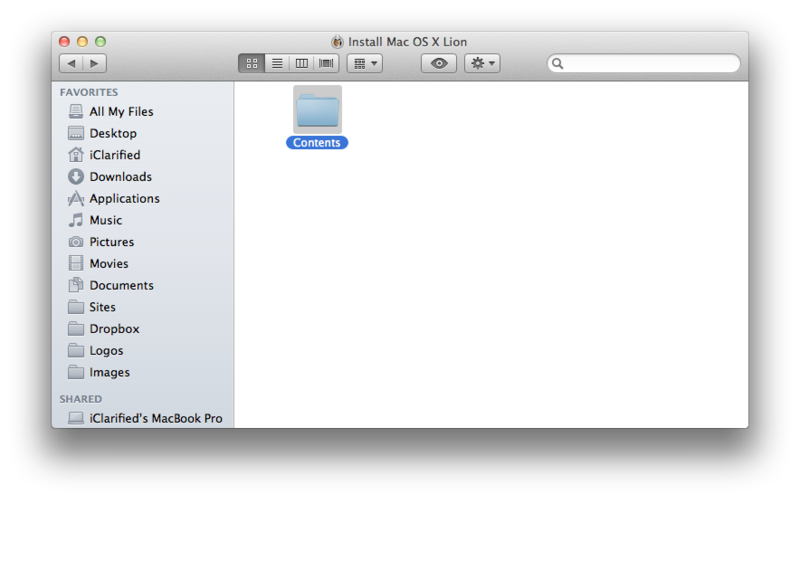 Locate the InstallESD.dmg file then open a new Finder window by pressing Command + N on your keyboard. Select your USB thumb drive from the list on the left and click the Partition tab. 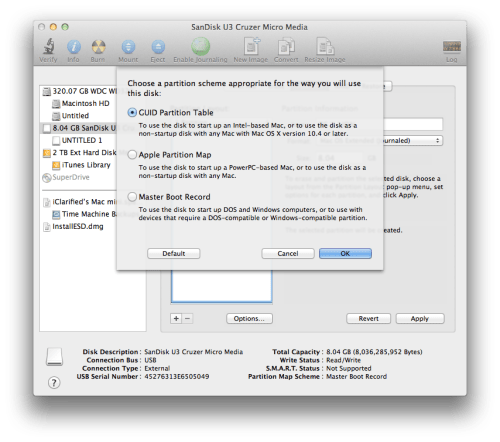 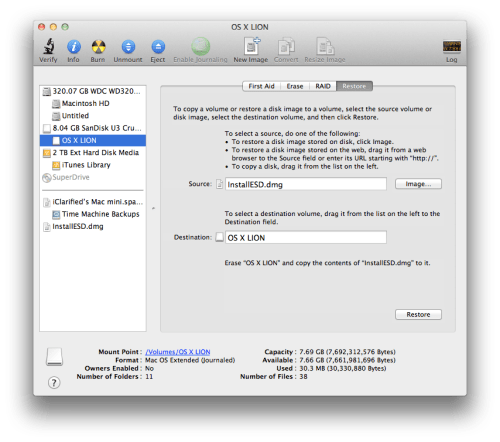 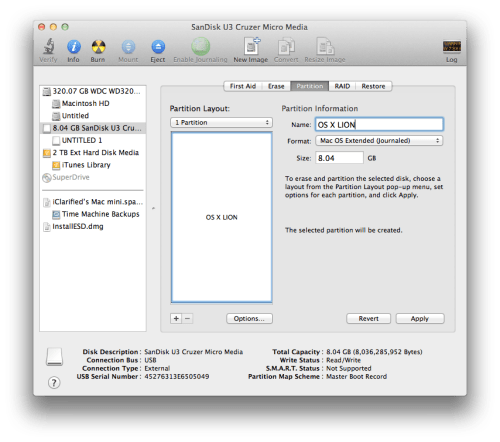 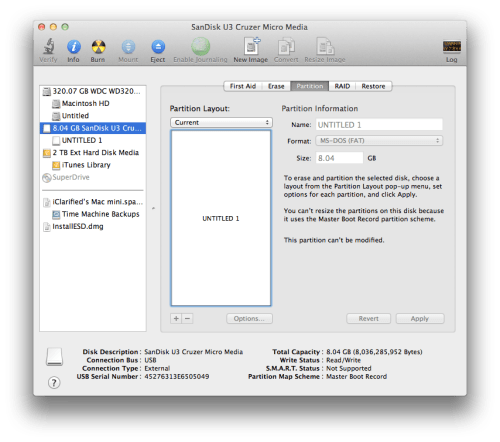 Set the Partition Layout to 1 Partition, set the Name to OS X Lion, and set the Format to Mac OS Extended (Journaled) and then click the Options button. Choose GUID Partition Table from the popup window then click the OK button. 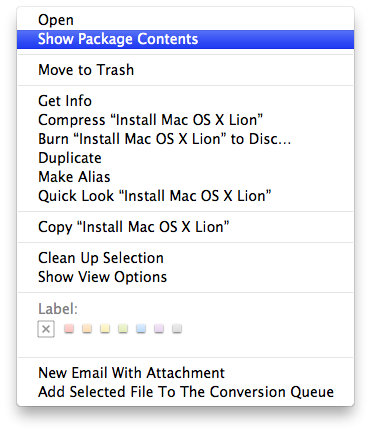 Next click the Apply button to save your changes. When asked to confirm click the Partition button. Once the USB drive has been partitioned correctly, select the new OS X Lion partition from the list on the left and click the Restore tab. Drag the InstallESD.dmg file we located earlier from the Finder window into the Source field. Then drag theOS X Lion partition from the list on the left into the Destination field. 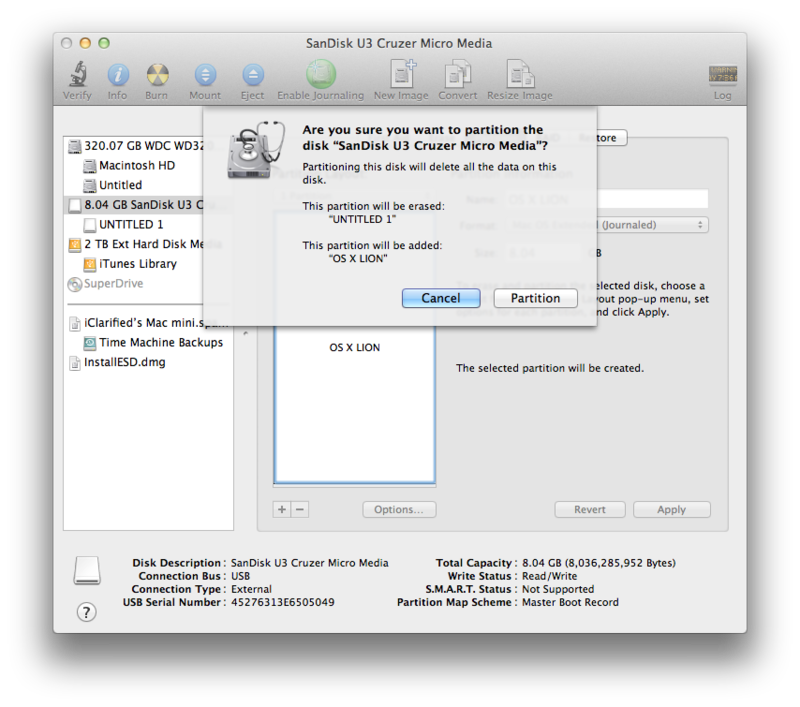 Click the Restore button then click the Erase button from the confirmation popup to begin building your install key. 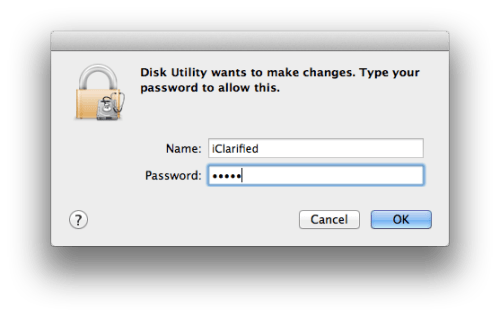 Another popup will appear asking you to log in. Enter your administrative username and password then clickOK. 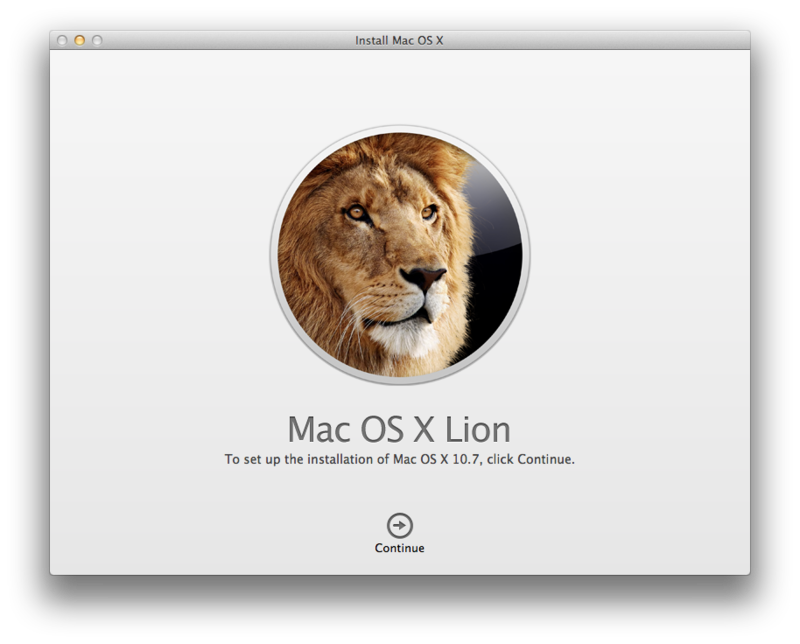 When the restore is complete the Mac OS X Lion USB Install Key will be mounted and it will be ready to use.